With ASF moving fast, what questions should you should be asking your feed supplier? With the expansion of the current outbreak of African swine fever (ASF) in China, the National Pork Board, along with the National Pork Producers Council (NPPC), the American Association of Swine Veterinarians (AASV), the Swine Health Information Center (SHIC) and the US Department of Agriculture (USDA), are working even more closely together to help keep the United States free of ASF and all other foreign animal diseases (FADs). 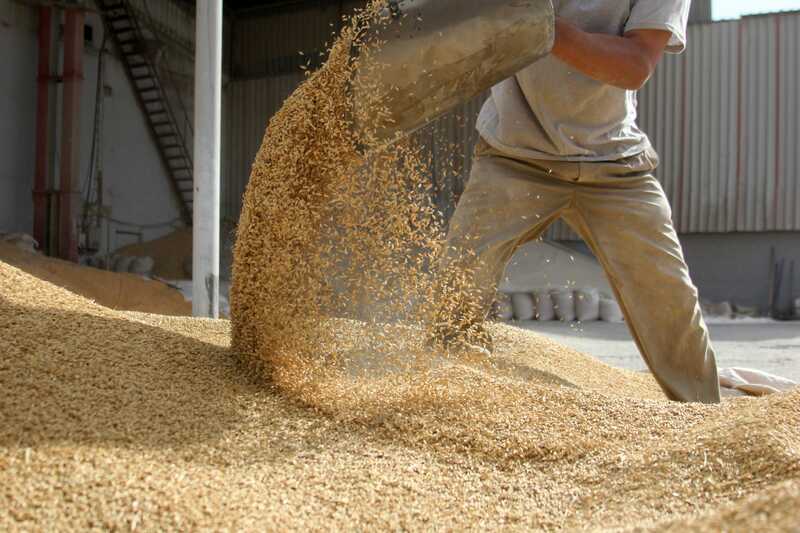 This includes focusing on the importation of feed ingredients, a key area of potential high risk of disease transport. “Research has demonstrated the ability for certain feed ingredients to support viral survival during conditions modelled after either trans-Atlantic or trans-Pacific shipping to US ports and on to locations likely to manufacture feed for swine,” said Paul Sundberg, DVM, director of the Swine Health Information Center. SHIC-funded research cited by Sundberg shows that viruses do have the potential to travel long distances via feed ingredients, which proves the theoretical ability of a foreign animal disease pathogen to reach US shores. To help prevent this potential risk from becoming a reality, swine industry experts have compiled these seven critical points for pig farmers to raise with their feed and feed ingredient suppliers with the objective of starting a dialog about feed ingredient safety. Development of the points to help start the discussion about feed and feed ingredient risk was done with review and input by the American Feed Industry Association (AFIA), the National Grain and Feed Association (NGFA), Kansas State University and the University of Minnesota. Some points will apply to producers’ immediate feed suppliers and some will apply to feed ingredient suppliers. Describe the facility’s biosecurity programme to minimise the spread of pathogens from people, vehicles and ingredients. Describe the facility’s pest control programme. Describe the facility’s traceability programme. Describe the facility’s supplier approval programme. Is the facility certified by a third-party certification body for food safety? Third-party certification programmes may include the Feed Additives Manufacturers (FAMI-QS), the International Organization for Standardization (ISO), the Safe Quality Food (SQF), Safe Feed/Safe Food, etc. Does the facility utilise ingredients that were manufactured or packaged outside of the United States? To get a better handle on your particular farm’s risk of FAD transport via a feed ingredient, Sundberg advises producers to use the newly developed virus transport in feed ingredients decision tree matrix. “It was developed to help pork producers work with their feed suppliers to minimise risk from feed ingredients,” he said. “By going through the items on this list, you can improve your biosecurity plan and prepare to register for the voluntary Secure Pork Supply plan, which will help participants maintain business continuity in the event of a FAD,” he said. As a delegation from National Pork Board, NPPC, AASV and SHIC and USDA officials, including US Chief Veterinary Officer Jack Shere, convene this week in Washington, DC, for a meeting hosted by NPPC, optimism remains high that a renewed and collaborative effort will help protect America’s pig farmers and the entire industry from the current threat posed by ASF and all FADs. “I’m very encouraged to see how well our industry groups have come together during this time of heightened awareness of foreign animal disease threat to our industry,” Rommereim said.